This is Home Bar Gurls, the segment where another Home Bar Gurl or Dude sends me a recipe! It’s been awhile since I’ve done one of these, but with Labor Day upon us in the USA and this awesome recipe from my friend Eleni Crush, I felt like it was time! Eleni just moved back home from NYC to California to start the next phase of her life and hang out with her Greek family. If there is one thing to know about Greek families, it’s that they will have at least one bottle of Ouzo in the house. Ouzo is an anise flavored aperitif which is consumed largely in Greece, Cyprus, and by ex-pats and enthusiasts around the world. If you like Pernod, Absinthe, Sambuca or other expressions of Anise Liqueur, you should totally get some Ouzo! Add to this tasty business some Watermelon Juice and you’ve got a really refreshing and unique cocktail. 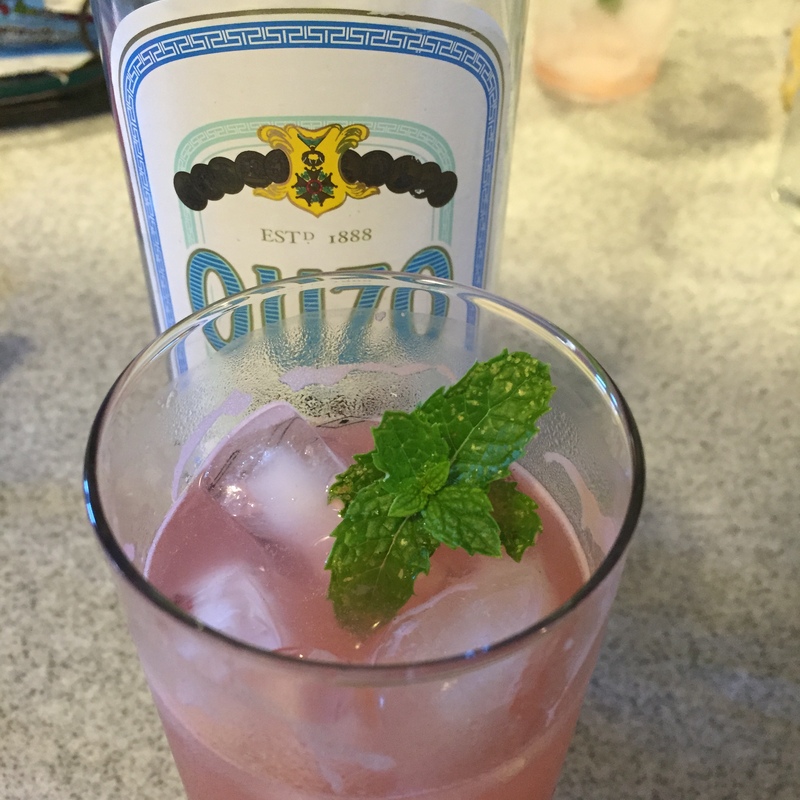 Combine Ouzo and Watermelon Juice over ice and shake. Strain into Collins or Highball glass over ice. Top with Club Soda and garnish with Mint. Thanks Eleni for the recipe! If you would like to submit a recipe for the Home Bar Gurls feature, email your recipe + a photo to homebargirl@gmail.com. Cheers!